Come sign up for the Youth Sailing Program at the Ventura Yacht Club. Open to all students aged 8-16. 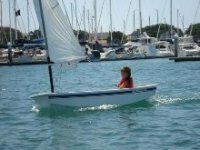 Summer classes run weekly from 9-4:30pm and are for all levels of sailors, from beginner to advanced. Taught by US Sailing certified instructors who provide for a fun, safe, and educational environment. Sign up today!